Refresh your mind, body, and soul and pamper yourself with lavish body treatments, mud and mineral baths, facial massage, and relaxation techniques that will leave you deeply connected to your local surroundings at Baths at Roman Spa. 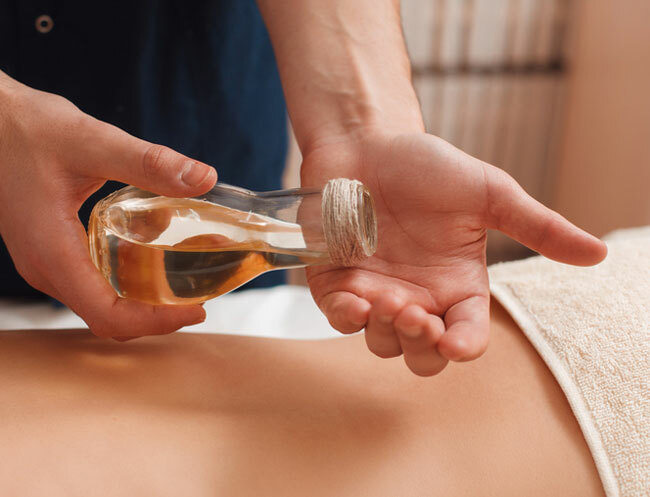 With natural healing properties, our spa treatments are tailored to your specific needs and are always intimate and personalized for a one-of-a-kind experience. Each of our services can be a la carte or paired with each other for a unique spa treatment. Our curated spa packages are designed to honor your individuality while promoting health and wellness. Hotel guests receive $10 off pre-booked spa treatments made prior to one's arrival by mentioning the word "Relax", excluding holiday periods. Discounts cannot be applied to any packages, specials or promotions. Please notify staff at the time of making appointments if you have any allergies as we use essential oils in many of our treatments. All treatments 50-minute or longer include 6 hours of pool use Sunday - Friday. 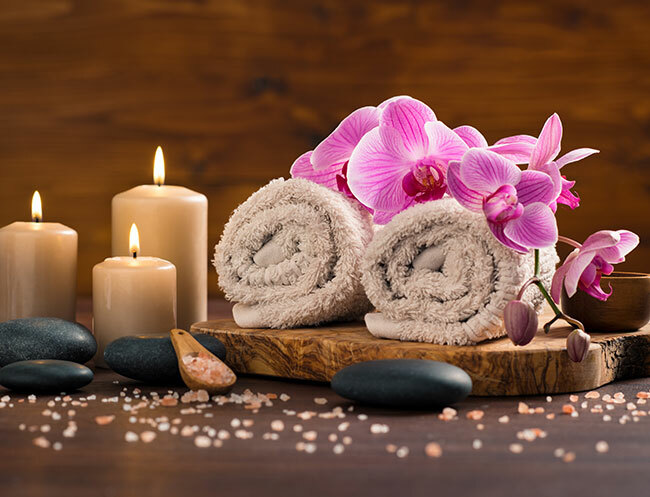 Our massage therapists will curate your classic massage using a wide array of soothing techniques to best suit your needs and preferences. With their skilled hands, your therapist will use a combination of expertise and compassion to help alleviate pain, reduce tension, and promote relaxation. Aromatherapy may be used. 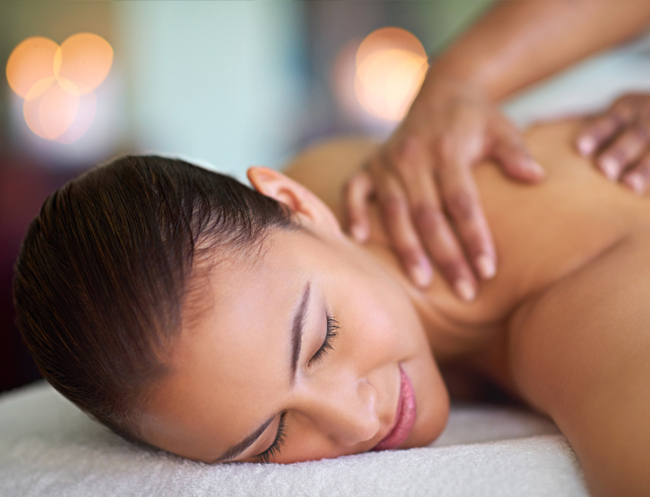 A deep and targeted massage using slow strokes to help release tension from specific areas of the body. Our skilled therapists use specialized techniques to guide your body to rid toxins which will provide overall well-being and comfort. This massage soothes mom-to-be by focusing on the many stressors that occur during pregnancy in a comfortable and caring environment. You'll leave relaxed, pampered, and at peace with your little one. Special pillows are used for comfort as needed. This energy healing session is deeply relaxing, restorative and calming. Reiki is a Japanese healing technique for stress reduction and relaxation. It is administered by "laying on hands" and based on the idea that a "life force energy" flows through us and what causes us to be alive. You will remain fully clothed during this experience. 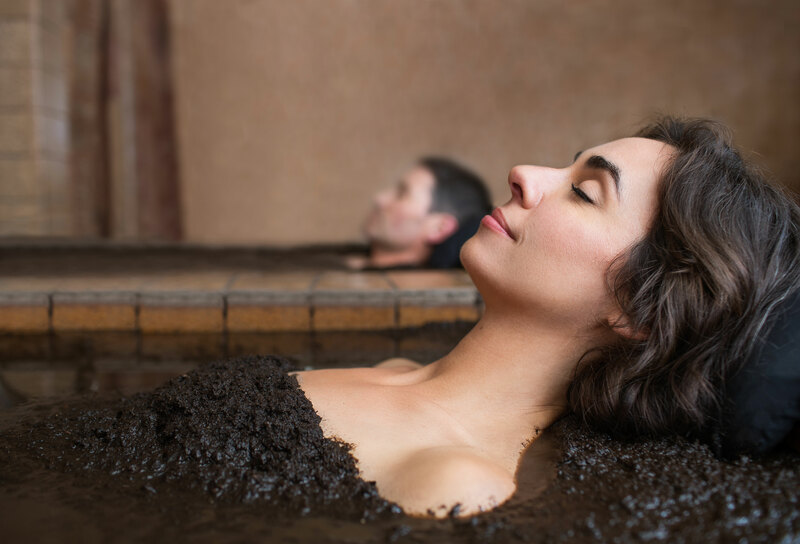 Our world-famous mud baths of Calistoga will relax you while removing toxins and bringing relief deep to your muscles. The Baths at Roman Spa is one of two places in Calistoga offering private mudrooms for two. Our geothermal water or "hot springs" contains a multitude of rich minerals, naturally heated right below the earth's surface. A local tradition for over 100 years, these two baths are truly gifts from the earth. Experience the restorative and cleansing nature of these treatments while reducing stress and pain relief, increased blood circulation, and softer, smoother skin. Guests enjoying the mud bath will be responsible for getting into and out of the baths without assistance. Our authentic Calistoga adventure is an experience not to miss! Immerse yourself in Calistoga volcanic ash along with natural peat and mixed with our geothermal mineral water. A mineral bath followed by a relaxing cool down completes the experience. Must be 18 years of age or older to receive this treatment. Soak in a private mineral bath filled with our geothermal water that bubbles up from deep in the earth below our spa. Afterwards, cool down in our relaxation room. Must be 8 years of age or older. Our spa specialties are designed to enhance your spa experience. Try an invigorating foot refresher, add aromatherapy to your massage, or indulge in our new Antioxidant Facial Trio. Enriched with green tea and lavender, the mask contains molecules with great antioxidant power that prevent and diminish cellular aging as well as beta-carotenes that protect the skin from the effects of solar radiation. With a relaxing effect, this mask will provide a sensation of well-being. Performed by one of our advanced therapists, this treatment does not include extractions. 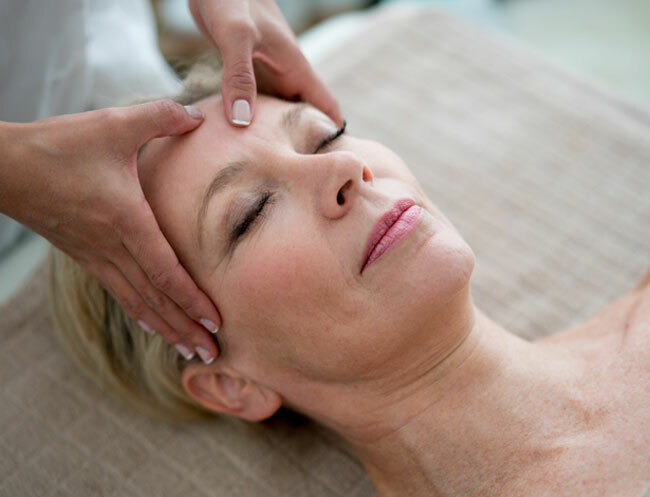 A pampering facial massage beneficial for all skin types & designed for both men and women. 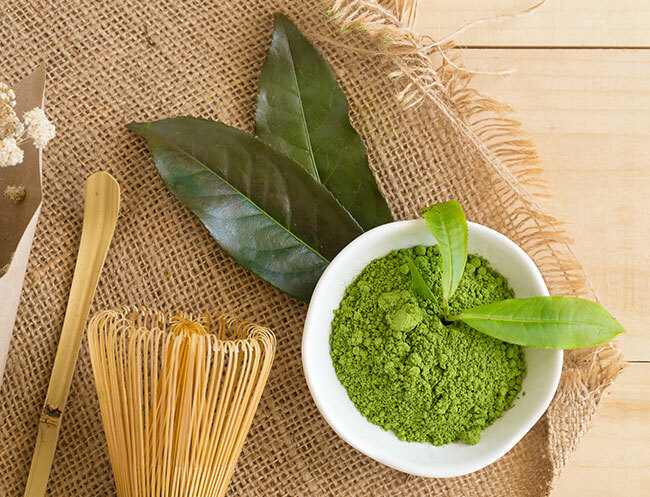 Local products are utilized, leaving you refreshed, replenished and your face glowing. 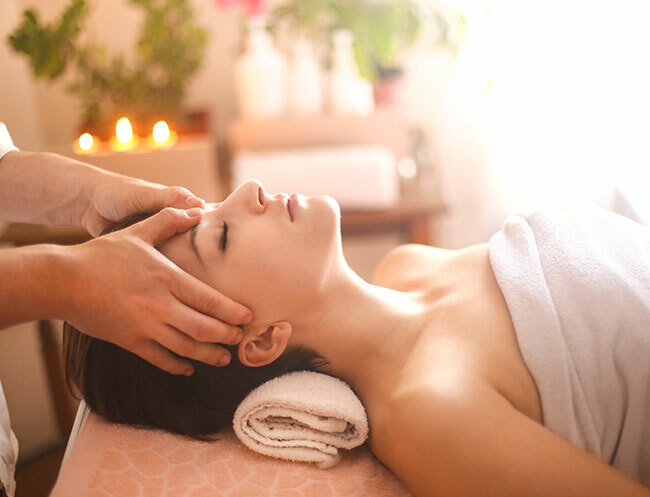 This facial massage will be performed by one of our advanced massage therapists as it does not include extractions. A cooling foot scrub followed by a relaxing peppermint foot massage to leave your feet tingling. Combine this with the Classic Massage and you have the ultimate treat! Perfectsense paraffin uses warm oil based wax to provide deep penetrating heat into the muscles and joints of your hands or feet, a perfect way to soothe arthritis pain while providing deep relaxation. Nourishing and restorative, the properties of Perfectsense protect against free radicals while promoting cellular renewal, reducing signs of aging, and leaving skin incredibly soft. Aromatherapy is the practice of using the natural oils extracted from flowers, bark, stems, leaves, roots or other parts of a plant to enhance psychological and physical well-being. Add this to our treatments to enjoy a harmonious level of relaxation combining the senses of smell and touch. Don't let the goodness stop there! Include a massage in your mud and/or mineral bath treatment and you will leave our spa relaxed and rejuvenated! Couples may consider sharing these combinations side-by-side. Enjoy a full submersion mud bath, mineral bath, cool down in our relaxation room, followed by a massage of your choice. Couple's may consider sharing these side-by-side. Must be 16 years of age or older. Let our one-hour jetted mineral bath relax your body from head to toe. Enjoy a cool down and a massage of your choice. Couple's may consider sharing these side- by side. Must be 12 years of age or older. Let our experienced therapists appeal to your senses from head to toe. 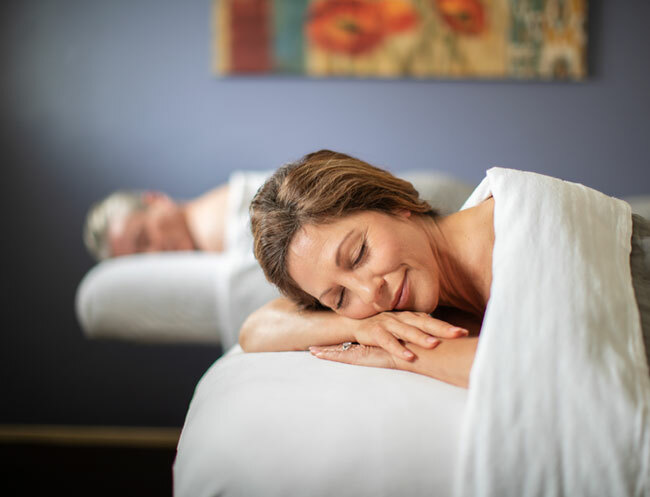 Achieve ultimate bliss with an experience that includes a 60 minute classic massage, followed by a facial massage, and ending with a relaxing foot refresher. Please arrive 15 minutes before your scheduled treatment. Late arrival for your appointment will deprive you of valuable treatment time. Appointments canceled or rescheduled less than 72 hours prior to the appointment time will be charged the full treatment price. Gratuities are accepted in the form of cash, credit cards, or with your room charge. Children 8 years of age and older may receive a facial massage, foot refresher and/or mineral bath. Children 12 years and older may receive a full body massage and 16 years old for a mud bath. Written parent/guardian consent is required for all minors under the age of 18. Swimsuits must be worn for all treatments and a parent/guardian present. If you have a preference of a female or male massage therapist, please request at time of booking.